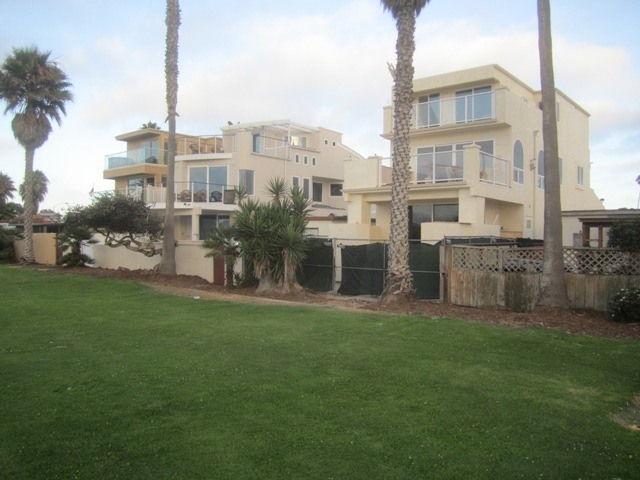 The good news is that the City of San Diego has halted a decade’s old practice of allowing large single-family homes to be built in coastal areas expedited under the City’s affordable housing and sustainability program. The bad news is that the City’s Development Services Department allowed single-family mansions to be built at all under a program that they were ineligible for – for a decade. A developer and political insider – a former chairman of the San Diego Planning Commission – appears to have benefited big-time from a City of San Diego affordable and sustainability housing program – that he was ineligible for – by being allowed to construct single-family McMansions at the coast. … many single-unit projects fast-tracked under the program between 2011 and 2015 provided “questionable environmental benefits” and were not designated as affordable. But how did all this come about in the first place? San Diego wanted eco-friendly and affordable housing. What it got was dozens of large, market-rate coastal homes outfitted with solar panels. It turns out, affordable housing accounted for only 13 percent of expedited projects completed over the past four years, according to the audit. From these articles, then, we can construct a time-line of sorts. 2003 – the City Council approved the Affordable/In-Fill Housing and Sustainable Buildings Expedite Program. It was supposedly crafted to reduce the cost to develop affordable housing — and to encourage compact, energy efficient, urban development — by streamlining the whole permit review and process. Importantly, in order to be eligible for the program, it is required that projects include at least four housing units. April 2006 – City Council committee meeting held during which an advisory panel suggested it would consider adding small residential projects to the program. This suggestion was never ratified by the City Council. What advisory panel was this? Again, this proposal was never approved by the City Council. But it turns out, as Development Services Department staff admitted to the auditor’s office a decade later, that they began allowing the smaller projects into the program, based on that hearing. 2008 – Tim Golba is appointed to the San Diego Planning Commission. 2011 – Golba sent out an email in which a draft proposal of a language change which would have changed the program to include single-family homes was sent to sustainable development industry members and city staff, including then-DSD director Kelly Broughton. The change was never officially made, but DSD continued to operate the program and allowed single-family developments “as long as staff had time to do it”, said Golba in his VOSD interview. 2014 – Mayor Faulconer appoints Golba as chair of the Planning Commission. Meanwhile, Golba is regularly donating to Republican politicians and causes, particularly Faulconer’s mayoral campaign in 2016 and 2014.Golba contributed over $12,000 to City Council and mayoral elections since 2007. 2016 – Auditor’s report is made public at Audit Committee hearing. The City announces a halt to allowing single-family homes into the program. The mayor’s spokesman, Craig Gustafson, said Faulconer agrees with all of Luna’s recommendations, including immediately ceasing single-family homes from participating in the program. Other changes to Development Services Department policies are expected to go before the City Council by the end of June, says Keatts. Editor’s Note: OBceans and local members of the Planning Board had their own run-in with Golba as he presided over the disastrous Planning Commission hearing on the OB Community Plan Update back in 2014. How do we get a homeless advocate on the Planning Commission? As long as it is run by developers, the primary purpose of it is to facilitate making a profit. Affordable housing is a misnomer and an oxymoron. So far the Planning Commission and the Housing Commission have provided no such thing. They are just laughing up their sleeves and all the way to the bank. But that’s just typical Republican behavior, and many Democrats act that way too. How does corruption and bossism get so far in San Diego as to allow a planning commissioner to say outright that there’s an “unwritten policy,” and to say about himself and his business “I like it being that way. We know what policies there are.”? That’s like LA billionaires killing their women and later explaining, “I just didn’t like her anymore.” Trumps big and small are expecting all of us to line up to ratify these acts in the name of democracy. They’re going to be disappointed with us. Wtf…comparing violence against women to larceny? And we are not supposed to care if the woman is dating a LA billionare?